Sick of all the soppy Hallmark Valentine's Day tat already? 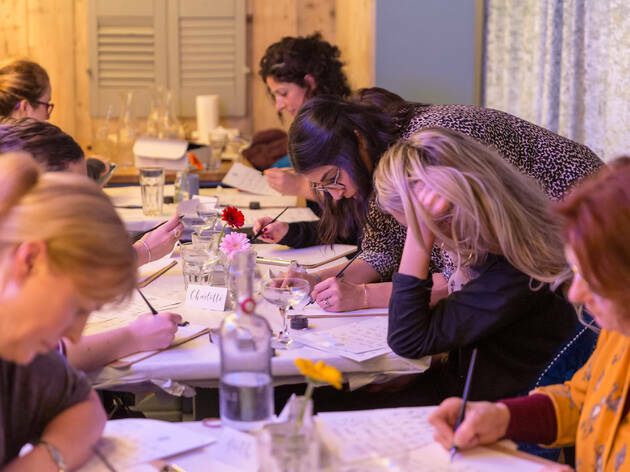 Kiki Calligraphy and Crafternoon Tea London bring you the perfect antidote with their Galentine's-themed beginners modern calligraphy workshop. 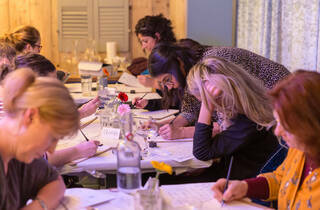 Gather the gals and spend an evening learning how to write fancy calligraphy love notes to each other instead. Ticket price includes materials (which you can take home to practice) and a glass of Prosecco.